The other day my friend Kim asked me why I don’t care much for Halloween. The answer is pretty simple : we don’t have Halloween in Romania. Recently people started to dress up and throw a Halloween party but there’s no such thing as trick or treat. And since I moved on this side of the pond, somehow it didn’t impress me that much to call it a favorite Holiday. Hubby loves it and so does our little lady bug and I go with the flow but I don’t do any spooky, scary desserts or decorations. No, my heart beats for Christmas. If it’s up to me I’d already have the Christmas tree up, carols playing all day long and us sipping on hot cocoa in the afternoon. We do have a “ghosty” night, if I may say so. The night of November 30th, St. Andrew’s night when tradition says to hang garlic by the front door to keep the bad spirits outside. I’m taking this tradition a little more serious and I think I’m going to eat as many as these garlicy crescents as possible. This for sure will keep the bad spirits away from my family. I actually made these last week, and they were gone in no time. I used freshly minced garlic mixed with salted butter and brushed these little babies on the inside and the outside. Oh, the smell of garlic while they bake, it drives me insane, I’m telling you. All i want is to open the oven, grab one and eat it. I am so weak when it comes to garlic bread. In a mixing bowl add 1/4 cup flour, 1/3 cup water and yeast. Stir to combine and leave until doubled in size and has a spongy texture. Now add the melted 2 tbsp of butter, salt, buttermilk and another 1/4 cup water. With the dough hook on start mixing slowly adding the remaining flour and mix until the dough forms a ball and comes clean from the sides of the bowl. Take the dough out, place it in a greased bowl, cover with plastic wrap and leave at room temperature until doubled in size. When the dough is risen, flatten in on a floured surface in a 12-16 inch circle. With a pizza cutter, cut the dough in 8 triangles. Brush each triangle with the garlic butter mixture and start rolling, from the wide side towards the tip. Place all 8 crescents on a balking sheet, cover and let rise again. Meanwhile heat the oven to 375F. Just before placing the crescents in the oven, brush the outside with some more garlicy butter, sprinkle some Parmesan (if using) and bake for about 25 minutes. 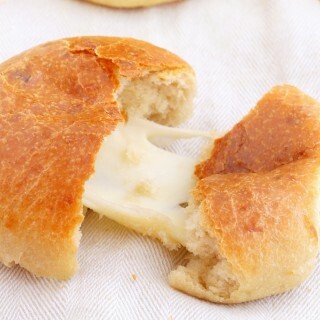 Yum, I love garlic rolls and the more the better. The crescents look so professional and delicious too. Thanks for sharing them, have a great weekend. WOW! Beautiful crescents, Roxana! Give me garlic anything!!! Um, can I talk about how much I love the fact that in Romania you guys have a night where you hang garlic? The vampire obsessor in me is just...thrilled about this. :D I love Christmas too-Halloween is so not a big deal. Christmas all the way. Also..garlic. buttery. crescents. Yeahh I'm there! Must be odd to celebrate Halloween and trick or treat when you are used to a different culture. Roxana, your crescents look so perfect. Butter and garlic is my choice of flavor as well! Oh yum! I love fresh bread, and anything with garlic is all good in my book! Eating garlic is a brilliant way to keep away bad spirits! 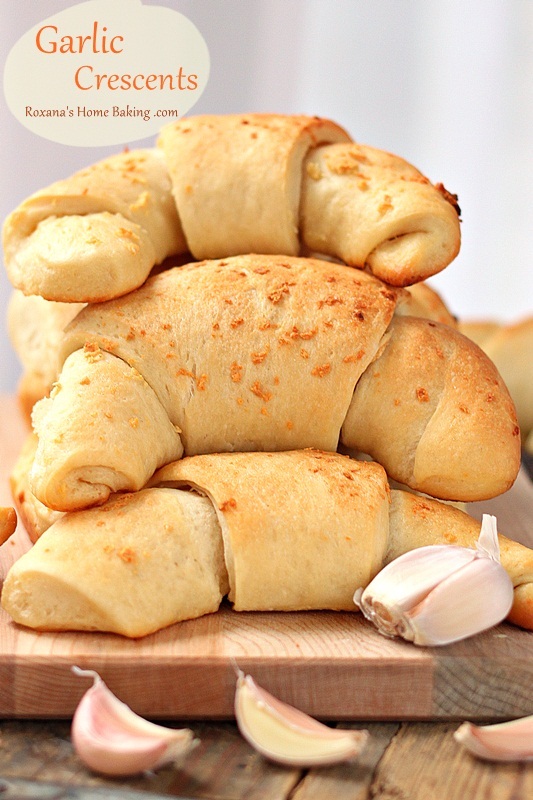 :D These crescent rolls look delicious! Roxana, boy do I ever get it. I am not a fan of Halloween and I even grew up with it. Just not my thing. Now Christmas? Yes, Christmas is wonderful. I have a whole tiny village we keep up all year on top of my plant ledge and it's time to start dusting everything off, seeing if there is anything new to buy and truthfully? I am considering decorating in the next few days - this weekend or next. I'm so ready. I love the spirit of Christmas and all it represents in particular the family time aspect that I crave daily anyway. These Buttery Garlic bites of heaven look and sound amazing! Yum! 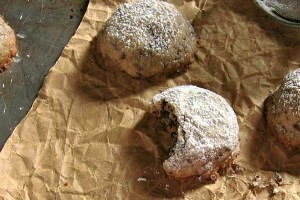 These are heavenly...I'm definitely putting them on my holiday baking list. I know they'll be gone in a nano-second! 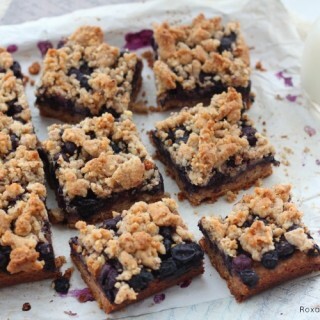 These look heavenly, Roxana! A must try! I grew up here in the U.S. but I've never been into Halloween either. Christmas is more my holiday, too. Love these crescents--pretty pictures! These look and sound simply divine! Anything with garlic is a winner in my book. Lovely photos! My neighbor was telling me the same thing on Halloween night and she stayed home instead of going out with the kids. 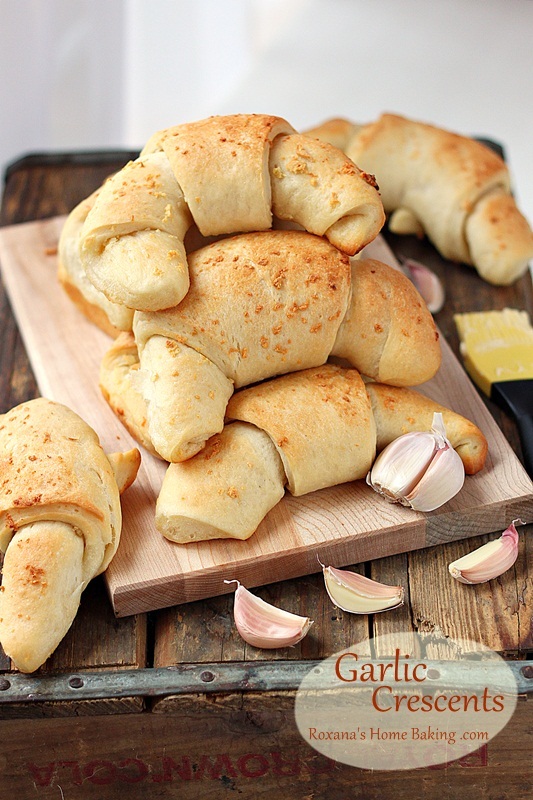 I know the kids just get so excited for all the candy and I have fun seeing all the costumes:)Love these garlicy rolls-delicious! 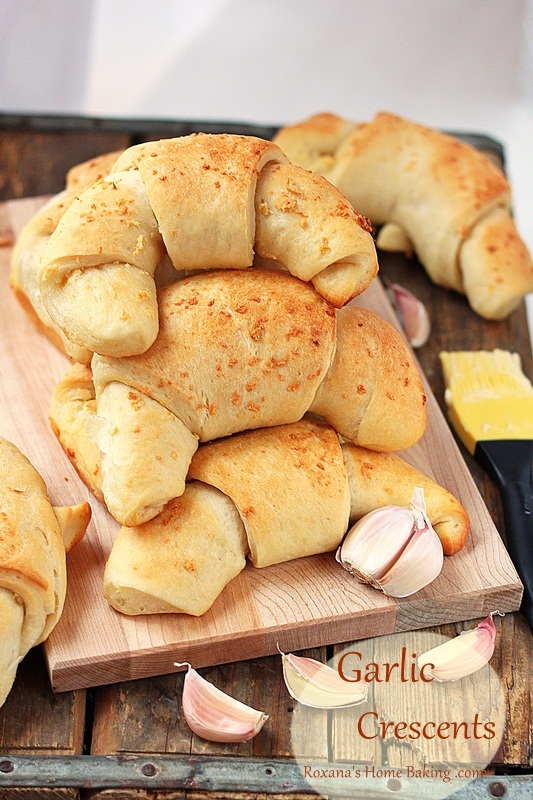 These look great, and there is nothing better than garlic and butter! I love that these are made from scratch, it just made my day! No Halloween? I would be a very sad person if I didn't have Halloween. Christmas is second on my list but Halloween is 1st :) These look fantastic and I love all things garlic! Saving these! Is there anything better than biting into a soft, buttery crescent roll? I think not. Then to add garlic to that roll just brings delight to a higher level. Halloween isn't done much in Australia. Nobody I knew had a party. You did it again - what a gorgeous looking crescent recipe! Totally going to have to give these a try.